Austin, TX has been named ‘the best US city for tech start-ups’ in a recent study by Sungard Availability Services® (Sungard AS), a leading provider of information availability through managed IT, cloud, and recovery services. Location is an important factor in the longevity of tech start-ups, prompting research to determine the ten most favorable US cities for digital business. Each city was bench marked using measurements such as the proportion of people in tech occupations, density of new entrepreneurs and start-up survival rates, as well as secondary factors such as commute costs. 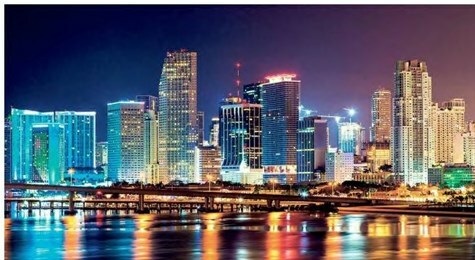 Miami has a vibrant start-up culture, topping the table for new company formations at almost 250 per 100,000 residents, although the proportion of people working in tech occupations is still relatively low at just 2.6 percent. Boasting the highest average academic achievement of the ten cities studied, Seattle offers a rich seam of qualified candidates, and almost 11 percent of its population already work in a technical occupation. While it’s the home of several tech giants such as Amazon and EMC, the seaport city has a relatively low density of seed companies, with just 168 start- ups per 100,000 residents. New York has a raft of small business- friendly initiatives that aim to reduce the burden of fines, fees and regulations, and streamline applications for licenses, permits and certification. In recent years, the Big Apple has witnessed a blazing rate of internet-based start-ups emerging from Wall Street and Madison Avenue.